Born on October 17, 1972, in St. Joseph, Missouri, rap musician Eminem had a turbulent childhood. He released The Slim Shady LP in early 1999, and the album went multi-platinum, garnering Eminem two Grammy Awards and four MTV Video Music Awards. 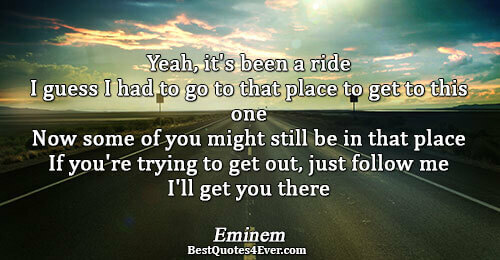 In 2000, the rapper released The Marshall Mathers LP, which was noted as the fastest-selling album in rap history. More recently, in 2010, Eminem released the Grammy-winning album Recovery, a highly autobiographical attempt to come to terms with his struggles with addiction and experience with rehabilitation. 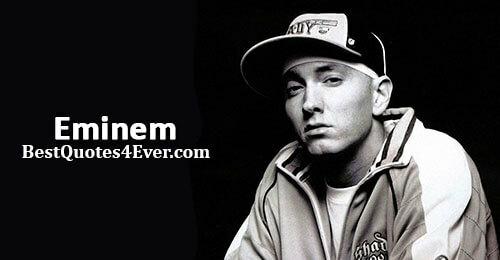 Being a rap fan for most of his life, Marshall began rapping at the early age of 4. Rhyming words together, battling schoolmates in the lunchroom brought joy to what was otherwise a painful existence. At the age of 14, he began to get very serious about his rapping but it wasn't until he was 17 that he actually made a name for himself, becoming M&M, which he would later respell as "Eminem". 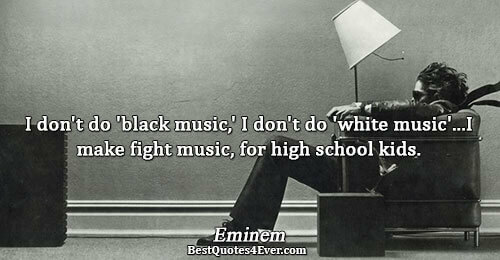 Being rejected by most fellow rappers because of his race, Marshall grew an anger that flows through his music to this day. After failing the 9th grade for three times in a row, he quit school, but has remarked that he does not consider himself stupid and does not advise that people should follow his example. He says that it just wasn't for him. Forcing himself on radio shows, freestyle battles, Marshall threw himself head first into the rap game, where he was swallowed up most of the time. His very first album was titled "Infinite" and, while the album sold less than a thousand copies, it was the gearing up stages for the rapper who became a millionaire. It was then that his daughter, Hailie Jade Scott, was born on December 25th of 1995 with long time girlfriend Kim Scott. Having nothing to lose at all, flat broke and not knowing where he would be living the next week, Marshall set out to rant about life in general, the set quickly caught the ear of hip-hop's difficult-to-please underground. 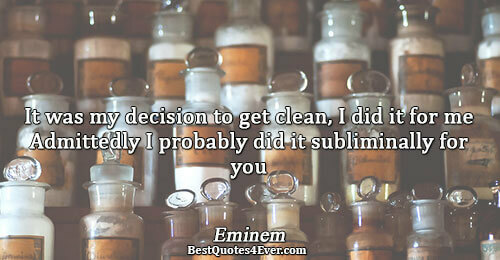 What came out of this was the Slim Shady EP, the early work for the later Dr. Dre revised Slim Shady LP. Down to nearly his last dime, he went into the 1997 Rap Olympics in Los Angeles, basically hoping to win the $1,500 cash prize which he badly needed. After battling for an hour and throwing back every race diss thrown at him, Marshall made it to second place losing in a slip up. Furious that he had lost, Marshall didn't even notice that he had been spotted. In the crowd were a few producers from Interscope, and they were handed a copy of the "Infinite" tape by way of a demo. Dr. Dre got to hear it and eventually tracked him down. The two instantly hit it off, recording four songs in their first six hours of working - three which made it to his first LP. After the album was finished, Dr. Dre asked Marshall to come work with him on his new album. He helped produce several tracks and was on the best songs of the album. Now officially making it, Marshall and Dre set to make his second LP. The album became the Marshall Mathers LP and won 3 Grammies and was the first rap album ever to be nominated "Album of the Year", selling more than 8 million records in the United States alone. He also stunned critics when he shot down all homophobic remarks by performing "Stan" with Elton John. After a small role in the 2001 film The Wash, Eminem made his Hollywood debut in the quasi-autobiographical 2002 film 8 Mile. According to the rapper, it is a representation of growing up in Detroit rather than an account of his life. He recorded several new songs for the soundtrack, including "Lose Yourself" (which won an Academy Award for Best Original Song in 2003 and became the longest-running #1 hip hop single in history). Eminem was absent from the ceremony, and co-composer Luis Resto accepted the award. The rapper has voiced the video game 50 Cent: Bulletproof (as an aging, corrupt, Ebonics-speaking police officer) and guested on the Comedy Central television show Crank Yankers and a Web cartoon, The Slim Shady Show (currently available on DVD). He was signed to star in an unmade film version of Have Gun – Will Travel, and was considered for the role of David Rice in the 2008 film Jumper. Eminem had a cameo appearance, arguing with Ray Romano, in the 2009 film Funny People. He played himself in the Entourage season-seven finale "Lose Yourself" with Christina Aguilera. Although Eminem was offered the lead role in the 2013 science-fiction film Elysium, he turned it down because director Neill Blomkamp would not change its location from Los Angeles to Detroit. The rapper had a cameo appearance as himself in the 2014 film, The Interview; during an interview with the main character, Dave Skylark (James Franco), Eminem comes out. 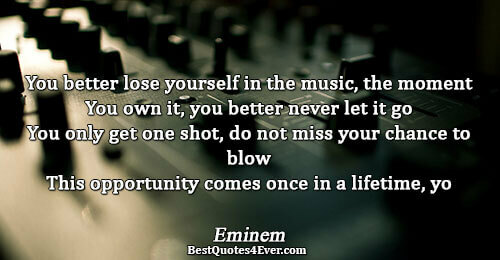 He shared the 2002 Academy Award for Best Original Song for his song Lose Yourself, co-written with Jeff Bass and Luis Resto.His Academy Award win made him the first rapper to receive this award. The rapper has received fifteen Grammy Awards, has been praised for his "verbal energy" and lyrical quality and was ranked ninth on MTV's Greatest MCs of All Time list. In 2003, he was thirteenth on MTV's 22 Greatest Voices in Music list and 82nd on Rolling Stone 's Immortals list. 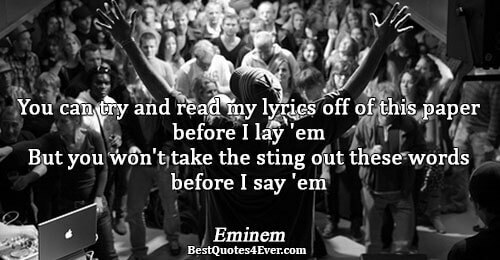 In 2008 Vibe Magazine readers named Eminem the Best Rapper Alive, and he was named Best Rapper Ever in a poll on the magazine's website. 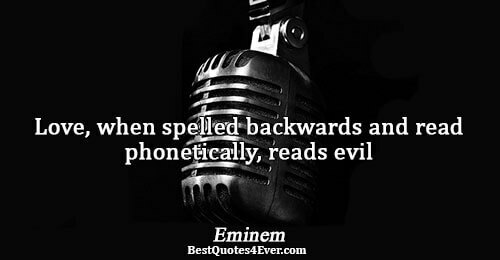 "The Real Slim Shady" (from his second Grammy-winning album, The Marshall Mathers LP) criticizes the awards in its second verse, with Eminem believing at the time that negative opinion of his material would prevent him from ever winning one. The rapper received the Global Icon Award at the 2013 MTV Europe Music Awards in Amsterdam.